The first season of the Professional Fighters League rolls on. The promotion’s sixth event features welterweights and middleweights, plus a bonus bout that puts the spotlight on female lightweight phenom Kayla Harrison. In the welterweight division, Rick Story sits only a few points behind in the standings. What makes his fight at the sixth event into a key bout is his opponent, the undefeated Carlton “Clutch” Minus. Minus is new to the PFL competition, and he’s tasked with what is sure to be the most difficult fight of his career on Thursday night. Story is no stranger to slamming the gates shut on upstart opponents. He made a habit of it during his lengthy stay in the UFC. 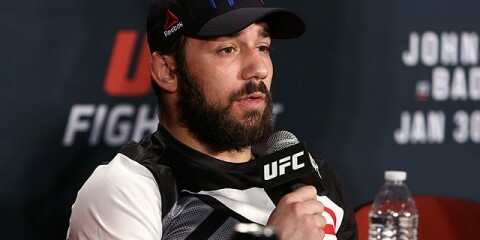 Story’s victims include the formerly undefeated likes of Nick Osipczak, Johny Hendricks and Gunnar Nelson. He also demolished the UFC dreams of prospects like Jesse Lennox, Brock Jardine, Quinn Mulhern and Leonardo Mafra. His resume also includes victories over Jake Ellenberger, Thiago Alves, Tarec Saffiedine and Yuri Villefort. Of course, Story’s loss column is also filled with a who’s who of the UFC, including Martin Kampmann, Demian Maia, Mike Pyle, Kelvin Gastelum and Donald Cerrone. 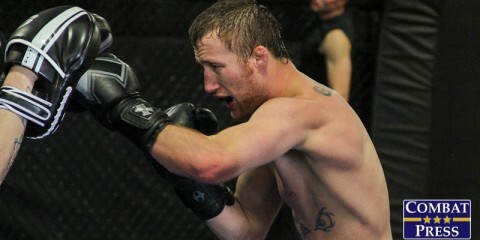 The MMA Lab fighter is a grinder who has seen the scorecards in 12 victories and seven defeats. He’s only been stopped twice, in a submission loss to Maia and a knockout at the hands of Cerrone. Minus still resides at the opposite end of the experience spectrum. The 25-year-old kicked off his pro career in 2014 in the Alaska Fighting Championship organization. He worked his way through a number of inexperienced foes, mostly by knockout, before stepping up to meet veteran Jesse Kueber. Clutch continued to find success, first by beating Kueber via technical knockout and then by continuing his run against veterans with a decision nod over Collin Reuter. 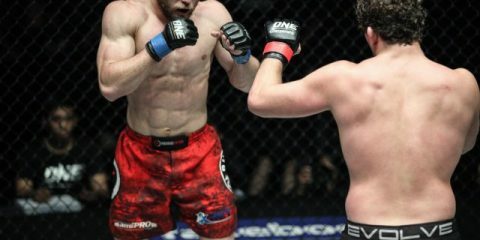 However, it was likely Minus’s most recent decision win over UFC and World Series of Fighting veteran Justin Buchholz that gained him attention from the PFL. The 33-year-old Story hasn’t had many fights since his split-decision victory over the aforementioned Nelson in 2014. 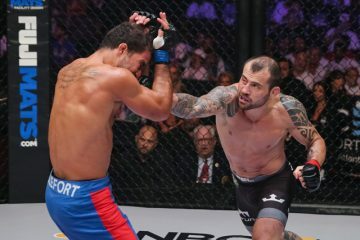 However, he did manage to secure the win over Saffiedine in 2016 and made a triumphant return this year with his PFL-debut victory over Villefort. He’s struggled to make his way to the cage, but he’s been pretty effective when he has fought. Cerrone scored his victory over Story in the midst of a strong run at welterweight, so Story can hardly be considered to be on the decline. He’s a game competitor who has the boxing and wrestling to hang with some of the best fighters in the world. He just never managed to get over the hump entirely and put his own name in the title picture. Minus is a huge wildcard here. He might get too much credit for his win over Buchholz, who had only beaten one of his previous four opponents. Story is leagues beyond Buchholz in terms of skills. Minus will of course have a chance thanks to his power, but Story could prove to be an intimidating opponent for someone who has primarily fought rookie-level opposition and a few mid-level veterans. Story, like some of his fellow PFL stars, may struggle to climb up the standings, but that’s only because he’s focused on winning on the scorecards. Story should add another judges’ nod in this affair. The UFC’s first women’s division came at the bantamweight level. 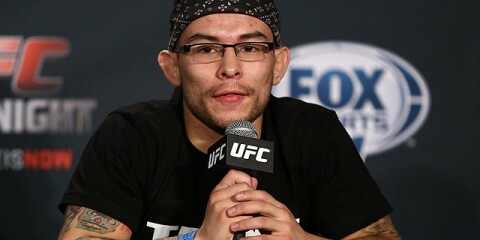 However, with the organization’s more recent additions of strawweight, flyweight and featherweight, the talent pool at 135 pounds has diminished. That’s why a bout like The Fight Series headliner between Joselyne Edwards Laboriel and Brenda Gonzales Means for the women’s bantamweight championship cannot be ignored. 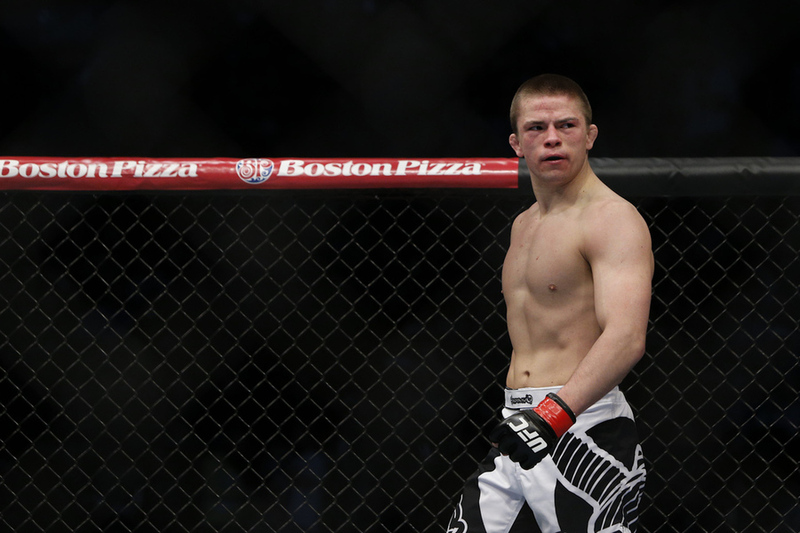 This fight could provide the shrinking bantamweight ranks with a fresh rising prospect. Laboriel, who tried out for The Ultimate Fighter 26 as a flyweight, is the lesser known of these two athletes. The Panamanian fighter had spent her entire career up until her last fight under the Ultimate Combat Challenge banner, which means that all but two of her fights took place in her homeland — and one of the remaining bouts took place in nearby Honduras. She only recently ventured to the United States for her TFS debut. The 22-year-old made her first pro appearance in 2015 with a victory, but she lost her sophomore outing via submission to Mauris Marcano Gonzales. Laboriel rebounded with six consecutive wins, including a submission finish of her own against Gonzales. However, it wasn’t until her TFS outing in May that Laboriel truly turned heads. She met Jessica Middleton, a longtime Bellator mainstay, in that initial TFS bout and tore through her opponent in just 57 seconds. Means, who possesses an 8-3 mark, has bounced between the 125- and 135-pound divisions, but she seems to have found her home at the bantamweight level, where she’s fought in her last three outings. “Boom Boom” debuted in 2011 and streaked out to four straight wins under the King of the Cage banner. Her first loss came when she traveled to Japan and fought Rin Nakai at Pancrase 247. 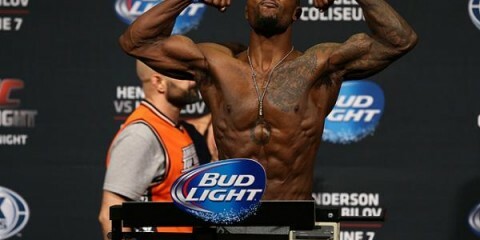 The FIT NHB product bounced back by returning stateside to defeat Heather Bassett at RFA 18. She faced another setback when she dropped a five-round verdict to Colleen Schneider. Shifting back to flyweight, Means decisioned Lacey Schuckman. Once more, Means changed her weight class when she moved up for a bantamweight clash with Anita Rodriguez. Means took the decision nod over Rodriguez, but she stumbled in her next outing and dropped a verdict to Pam Sorenson for the KOTC interim strap. 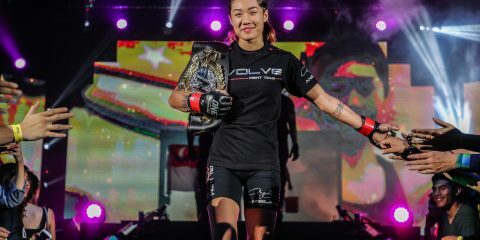 Most recently, Means returned to action under the KOTC banner against Yumi Matsumoto, an inexperienced opponent who was put away via strikes by Means in the first round. Means, who has a boxing background, has four knockout victories on her resume. The 36-year-old was inactive in MMA in 2017, and this marks her first fight of 2018. This will also serve as her first fight since recovering from mercury poisoning brought on by her dental fillings. If her record is any indication, Means, the wife of UFC fighter Tim Means, might want to consider a permanent move to flyweight. The New Mexico-based fighter enjoyed a title reign within the division during her stay in King of the Cage. The results of her first extended run at 135 pounds only help to cement this argument. She went 1-2 at bantamweight before sliding back down in weight to pick up the win over Schuckman. She’s a modest 2-1 in her current bantamweight campaign, but this includes a title loss and wins over a 7-5 opponent and an 0-1 foe. Laboriel is still something of a question mark. It’s very hard to ignore her complete steamrolling of Middleton, but she has little else to boast in her eight-fight career. Her other seven opponents combined for just a 2-4 record at the time of their meetings with Laboriel, and one of those two victories was the submission finish of Laboriel by Gonzales. Those same opponents have gone on to build up a combined mark of just 3-9. It’s quite possible that Laboriel scored a fluke win over Middleton. However, the Panamanian does have a boxing background of her own and could prove to be a threat on the feet. If she crushes Means, then she could land a spot in a much bigger promotion. However, Means might opt to put this fight on the mat and use her grappling to combat the striker. Means only has one submission victory, though, so this might be a tall task. Means is probably more likely to stand with Laboriel, but her own striking skills should provide her with enough of an edge to hang with her opponent and land the decision win. Poland’s biggest promotion is the juggernaut KSW organization, but apparently there’s enough talent to go around. Babilon MMA managed to gather some excellent prospects for its fifth event. The company even found two undefeated light heavyweights to pair up in one of the featured bouts of the evening. Szymon Kołecki has been perfect through six pro appearances, but he’ll have to contend with Michał Bobrowski, who has an unblemished mark through seven pro fights. Despite his excellent mark, Kołecki has never appeared under the KSW banner. Instead, he’s been a regular for Babilon MMA since the organization’s second show. The 36-year-old is a former competitive powerlifter who even holds a silver medal in Olympic competition from the 2000 Sydney games. He was set to return at the 2004 Olympics, but he was disqualified after testing positive for a banned performance-enhancing substance. Kołecki made the transition into professional MMA in 2017. He scored first-round knockouts in three bouts before joining the Babilon roster. He’s gone on to add another three first-round knockouts, including a 45-second destruction of veteran Ivo Cuk. Bobrowski is just 23 years old, but he’s been tearing through the competition since his 2014 debut. The youngster has also yet to compete in KSW, but this will also be his first venture into the Babilon MMA cage. 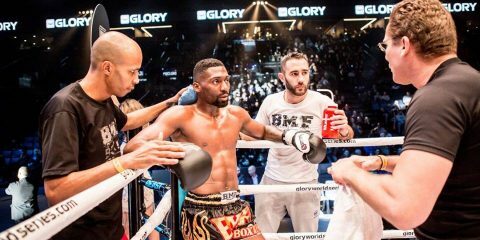 He picked up stoppage victories over his first three inexperienced adversaries before going the distance in a winning effort over veteran fighter Miloš Petrášek. Bobrowski returned to his finishing ways in his next two affairs, including a TKO finish of veteran Ilja Škondrič. His biggest win came in his most recent appearance where he KSW and Bitetti Combat regular Vitor Nobrega. This is primarily a test of Bobrowski’s ability to weather the early storm. Kołecki tends to rush out of the gates and score quick wins. Bobrowski will need to test Kołecki’s cardio. Kołecki often closes distance, gets the clinch and scores the takedown. If he manages to get Bobrowski down, then this fight is all but over. Kołecki has a relentless ground-and-pound attack that he’s used to great success in his six fights. The longest of those affairs lasted just over three and a half minutes. Bobrowski is a tall, lanky and somewhat awkward fighter, but he has the edge in the submission game. The problem is that he’s likely to have to do his work from the bottom if the fight does go to the ground. He’s demonstrated his ability to persevere in this position and still score the victory, but he’s never fought someone as aggressive as Kołecki. The former Olympian won’t let this turn into a plodding affair. Kołecki looks faster on the feet and more dominant from top position. This should be another ground-and-pound devastation for Kołecki.